Welcome to the Clan Donnachaidh DNA Project. A land rich in its peoples, culture, music, and history…. 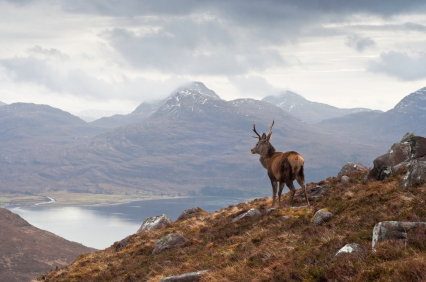 A land of stark extremes and awe inspiring natural beauty…. A land that has provided a hearty stock of emigrants that have settled lands around the world…. A land whose people have been at the forefront of many of the world’s scientific, industrial, political, social, and religious developments…. A land whose Diasporas longs to find, to feel, and to learn about the land of its roots…. And cares of tomorrow must wait till this day is done. And cares of tomorrow must wait till the day is done. The Donnachaidh DNA Project is all about family……. family history and genealogical research, the corresponding and sharing of information, and the joy of sharing our common family bonds. The project utilizes the newest tool, genetics, as a way to reach beyond the many roadblocks and brick walls that have prevented us from reaching further back into our family history. We have developed this website as a point of public contact for the Donnachaidh DNA Project and as a site for persons with DNA test results from any testing company. We will strive to explain, teach, and educate interested researchers about this world of DNA and how DNA can help with our family history research. We will attempt to provide as much information and analysis of results as we can. This DNA website will always be a work in progress for we will be adding many more features as we go. We invite you to visit us often as we bring on line these new features and much data that we have compiled to date within the project. Note: for best results this website will work and look best using an updated browser such as Firefox, Safari, Chrome, or Internet Explorer 7 or higher. We also look forward to hearing any of your comments, suggestions, and ideas that will help us meet your needs and better explain the project. Again, Thank you for joining us on this adventure of ours! PS: We would like very much to acknowledge Alvin McDaniel for his dedication, enthusiasm, and knowledge in the development of this website. Alvin’s untimely passing has saddened us all, but he will be remembered as his memory lives on through his work.